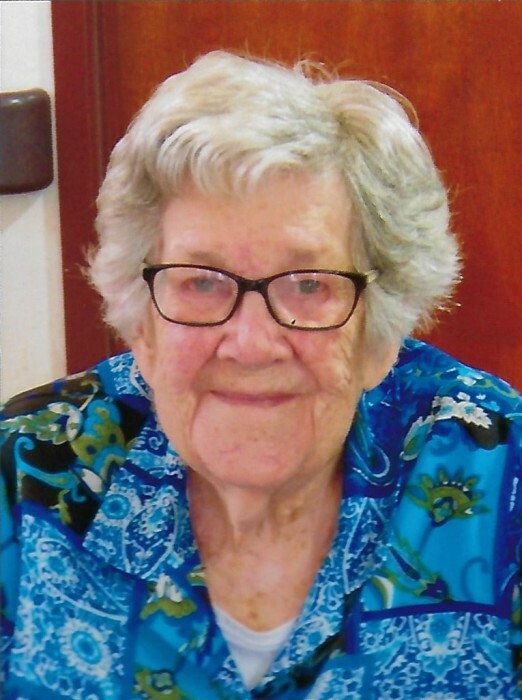 On March 31, 2019 Ella M. Willis “Dane” celebrated her 101st birthday, enjoyed reading all her cards, and eating birthday cake. On April 4, 2019 she celebrated her homecoming to heaven. She excelled in managing her household and in loving and nurturing her family with wisdom and kindness. She was a great meal-planner and cook, a seamstress, and mastered intricate patterns in every kind of needlework, leaving treasures for her family to enjoy. She was talented in music and played the piano and organ regularly at church and at home. Her life-long love of learning was very inspiring. She read extensively and worked Sudoku and cryptogram puzzles to keep her mind sharp. She read her Bible morning and evening and prayed for her family. While living in Slocum, she attended Lafayette Grade School and 2 grading periods at Portsmouth East High School. They then moved to Sciotodale and she graduated from Wheelersburg High School in 1936. She worked at the Clerk of Courts office and later at the offices of Ed Lockner Auto Supply and Kendricks. She was a member of Berean Baptist Church in Sciotoville, and though unable to attend in recent years, she was visited frequently by church members and the pastor, Rev. Steve Mann. She was preceded in death by her husband, Harold E. Willis in 2008, her parents, Gilbert C. and Ella Woodrum, her siblings and their spouses – Juanita C. Woodrum, Harold A. (Ruth) Woodrum, Walter H. (Gladys) Woodrum, Gilbert R. Woodrum, Charles J. (Jean) Woodrum, Robert E. (Kathy) Woodrum, Elizabeth L. “Betty” (Carl) Wilson, and James F. “Jim” (Ruby) Woodrum. She is survived by her brother, Raymond (Faye) Woodrum of Sciotodale and her children, Harold E. “Gene” (Iva) Willis from Denver, CO, Clyde S. (Sandy) Willis of Minford, Ruthann (Dennis) Flower of Elche, Spain, and Janet S. (Lance) Flower of Greenville, SC, eleven grandchildren, and twenty-eight great-grandchildren. Her great-great granddaughter, Bella Ann Goncalves, is expected in May. The family is grateful for the loving care that Clyde and Sandy have given for many years, the supportive staff of Elbrook Assisted Living who loved her also, and her hospice caregivers. A service will be held at 2:00 p.m. on Saturday, April 13th at the Berean Baptist Church with Pastor Steve Mann officiating. Interment will be in Sunset Memorial Gardens. The family will receive friends at the church from 12:00 noon until 2:00 p.m. Saturday. Memorial contributions may be made to the SOMC Hospice. Arrangements are under the direction of the BRANT FUNERAL HOME IN SCIOTOVILLE.